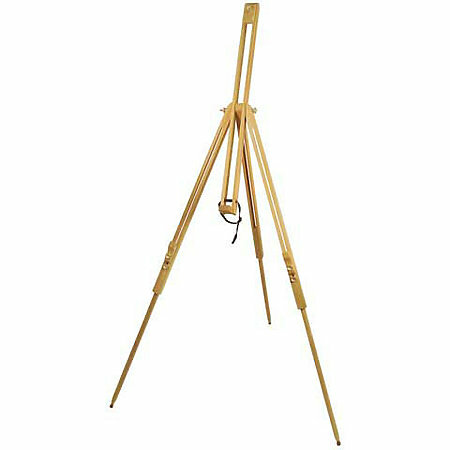 This versatile field easel accommodates canvases up to 28" and can be adjusted to lie flat for watercolor. Constructed of hand-finished beechwood, it is light-weight and sturdy and folds up easily for travel or storage. Rubber-tipped feet provide stability and protect floors. It weighs a mere 3 lbs. and its height adjusts from 49"-72". Fully assembled.